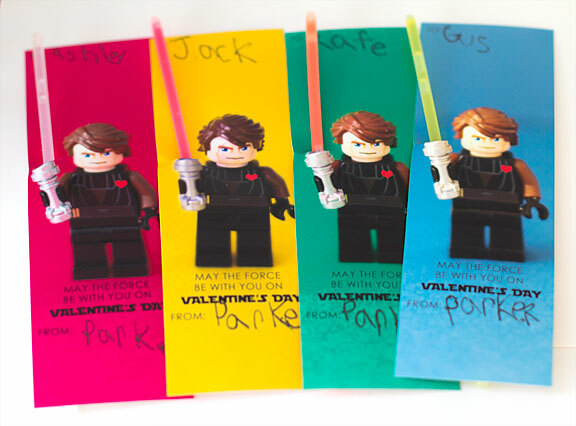 My oldest son has just about grown out of his Star Wars phase (I blame middle school) but since I have another boy that I am sure will fall in love with lightsabers sooner or later, I am keeping track of these fun Star Wars valentine ideas. Inchmark journal created this fun candy light saber valentine that you can print off on their site. 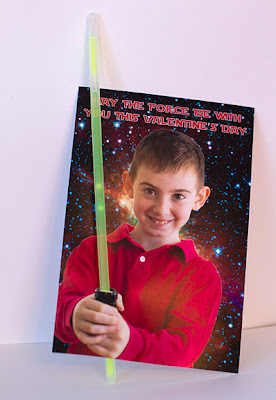 Brassy Apple has a printable for this Star Wars glow stick lightsaber valentine. fun ideas for the boys! I made them the glow stick light saber valentines last year. 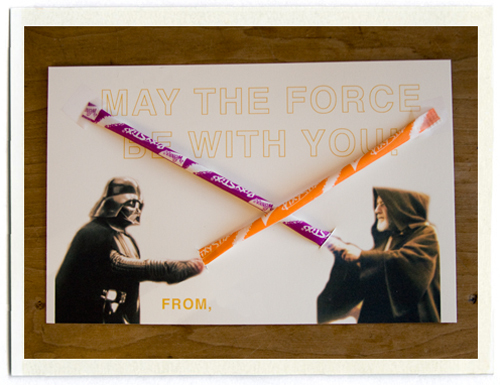 Thank you for posting the Darth Vader/Obi Wan Kenobi one. 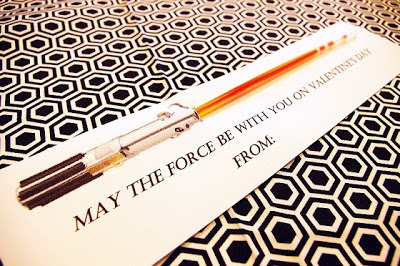 I know what they are getting this year.